Learning Italian is pleasant and enjoyable, thanks to our quality and engaging Italian language courses in Florence. Parola is an Italian language school in Florence that offers an interesting variety of Italian language courses at competitive prices, which are taught year-round by experienced, professional and friendly teachers. Our Italian language institute is also accredited by the University For Foreigners Of Siena (Università Per Stranieri di Siena) for the CILS certification, the official Italian language certificate that is valid worldwide for institutional and work purposes. Our school is particularly appreciated by all language students for its welcoming and friendly environment and its educational flexibility. Parola offers a good variety of language learning programs through its Italian language courses in Florence. Moreover, our Italian language school provides students with a flexible course schedule and an effective teaching methodology to learn Italian with effective results. Our institute holds group Italian language courses with small class sizes, as well as individual Italian language lessons both in the morning and in the evening. In addition to that, our language school also offers combined Italian courses, which consist of group Italian language classes supported with one-on-one lessons in the afternoon. Our Italian language school offers language lessons in small groups (no more than 12 students) in order to allow students to study, understand and learn Italian with visible results. As a matter of fact, a small group language class makes grammar learning easier and conversation lessons more productive. In addition to its morning lessons, our Italian language institute also offers language courses in Florence until 8:30 pm as an option for workers and students who can only learn Italian in the afternoon and in the evening. Our language programs in the afternoon and in the evening are mainly private ones, and they are always taught by one of our mother-tongue teachers. 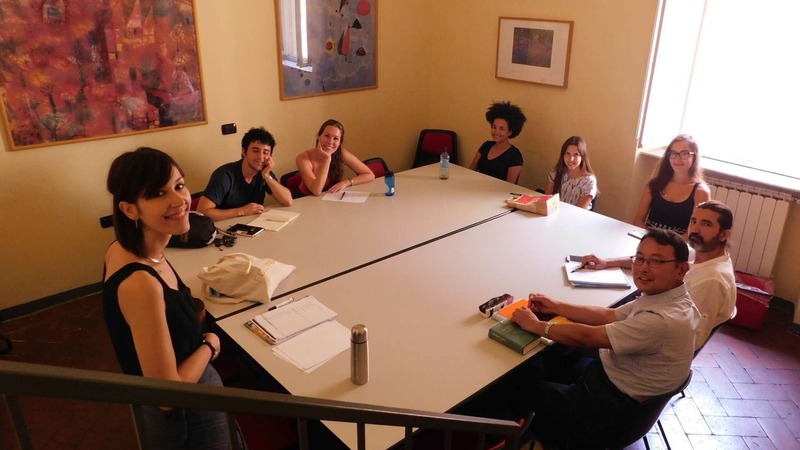 Our language center in Florence also combines group classes with extracurricular lessons so that students can improve their Italian conversation competence and learn the Italian culture through our activities. All of our Italian language professors are native Italian speakers who have advanced degrees and are experienced in teaching the Italian language. Our certified language instructors provide their expertise and positive encouragement in order to guarantee a pleasant and rewarding language experience in the center of Florence. Parola Italian language school provides quality teaching in its Italian language courses and affordable course prices in Tuscany. Parola school offers a broad selection of Italian language courses with quality language training. 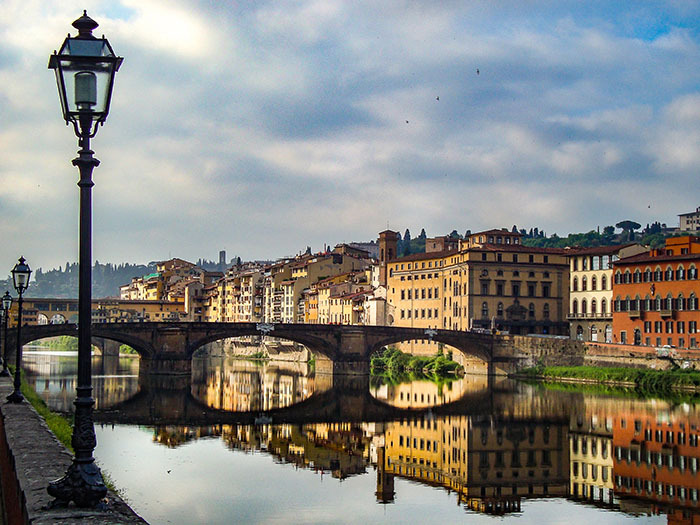 Our Italian language courses in Florence provide a multicultural and diverse environment. Our foreign students enjoy the hospitality, expertise, and friendliness that we offer in our school. Our course partecipants enjoy the environment of Parola’s language classes, which are held in a Renaissance building in the historic center of Florence (Borgo Santa Croce, 4 – 50122) at a short distance from world-renowned monuments and important locations such the Church of Santa Croce, the Uffizi or Ponte Vecchio. Parola Italian language school is an accredited CILS exam center in Italy. 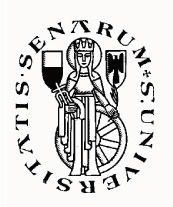 The CILS is an official certificate of Italian language as a foreign language certified by the Università Per Stranieri di Siena. The CILS certification exam is taken, twice a year, at our headquarters in Florence in Borgo Santa Croce, 4. Parola Italian language institute also offers a preparation course for the CILS certificate in Florence to provide students with grammar tutoring to pass the examination. Parola’s Italian language courses in Florence guarantee a comprehensive and flexible teaching method through our morning and afternoon lessons. Italian language classes at our school are designed to allow students to socialize, interact, and work together as they learn Italian. Our language courses provide a rewarding and effective learning experience, due to the combination of grammar and Italian conversation. At Parola school, we also take advantage of using mass-media tools during the Italian language classes. Our Italian language courses in Florence are proficiently taught with grammar and exercise books edited by our school. Parola school follows the rules of Italian language training set by the EU and offers the opportunity to learn Italian with a variety of Italian language courses at 6 language levels: Level A1, A2, B1, B2, C1, C2. Therefore, our Italian language institute enables students to understand and speak Italian from a basic to an advanced level. In addition to that, for students who want to get an official certificate of the Italian language, Parola can offer a course preparation for CILS and, as mentioned above, it is also certified center for the CILS examination. Learning Italian at Parola school allows students to get to know Italy through educational excursions, presentations on Italy and formal Italian language classes. Our free time activities (offered after our Italian language training in Florence) include excursions, Italian movies, visits to artisan workshops and walking tours throughout Florence’s artistic center. Moreover, our language school organizes sightseeings in Central Italy to expose language students to the artistic and cultural legacy of Italy. Parola Italian language school in Florence encourages a social environment, which increases the learning and comprehension of the Italian language while creating friendships and memorable experiences. In addition to its language programs, our Italian school provides students with after-school educational activities in Florence. At Parola Italian language institute, we provide more than just language training. As a matter of fact, our Italian school also offers art lessons in Italian, cooking courses and Italian history courses combined with Italian language, extracurricular classes, and free guided-learning activities in Florence. These lessons can be accompanied by our Italian language instruction or taken separately as instructional courses. If you are planning to enroll in one of our Italian language courses to learn Italian in the heart of Florence, you can register using our registration form. Our language school will promptly return your email. After registering for your Italian course, you have to complete the course downpayment to finalize the enrollment with Parola school. Contact our Italian language school in Florence for further information about our Italian language courses, our individual Italian lessons and the variety of language classes offered at our school. Parola Italian language institute would be happy to answer all of your questions regarding any of our language courses or educational activities in Florence and Tuscany. You can also call our office in Florence directly at +39 055 242182 or at +39 328 8997420. Parola is an Italian language school in Florence that offers a wide variety of Italian language courses with professional and friendly teachers. Our Italian language school provides stimulating yet entertaining language lessons for the study of both written and verbal Italian in Italy. Our language school is centrally located in a XVI building designed by Giorgio Vasari (the architect of the Uffizi Gallery). Parola Italian language school is around all of the most important art attractions in Florence, such as the Uffizi Gallery, the Duomo, and Piazza Della Signoria. Moreover, Parola Italian language institute is situated in one of the most lively areas in Florence. Around our language school, students can socialize with Italians and students from other schools. Learn Italian in Florence through one of our language courses. Parola school offers morning and afternoon courses in the historic center of Florence. 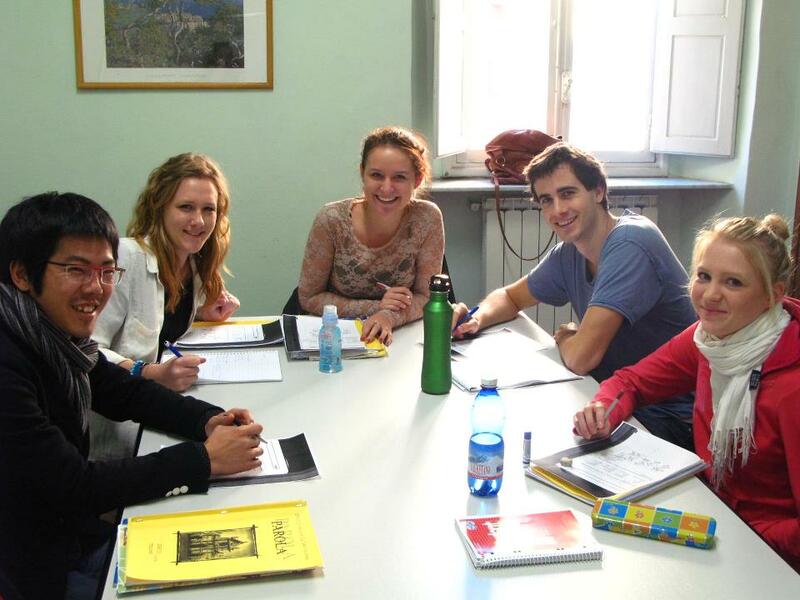 Our Italian language school for foreigners, together with the standard Italian language courses, holds specialized language classes, such as Italian language courses for Au Pairs, Italian language and cooking, Italian language and art lessons, and individual language lessons for workers in Tuscany. Parola Italian language school offers language courses with a maximum of 12 students, which allows teachers to completely monitor the students learning progress.